Brothers Roger and Bill Christian are the most famous names on America's first "miracle team" (Roger scored four goals in the title game and set up two for Bill in a 3-2 semifinal win over the Soviets), but the country's first golden moment might not have happened if the Montreal Canadiens had gotten their way. Bill Cleary (inset), who scored a record 42 goals for Harvard in 1954-55, had his eye on the Olympics instead. He helped the Americans win silver in Cortina in 1956, then led them with six goals and 12 points in five games in Squaw Valley. 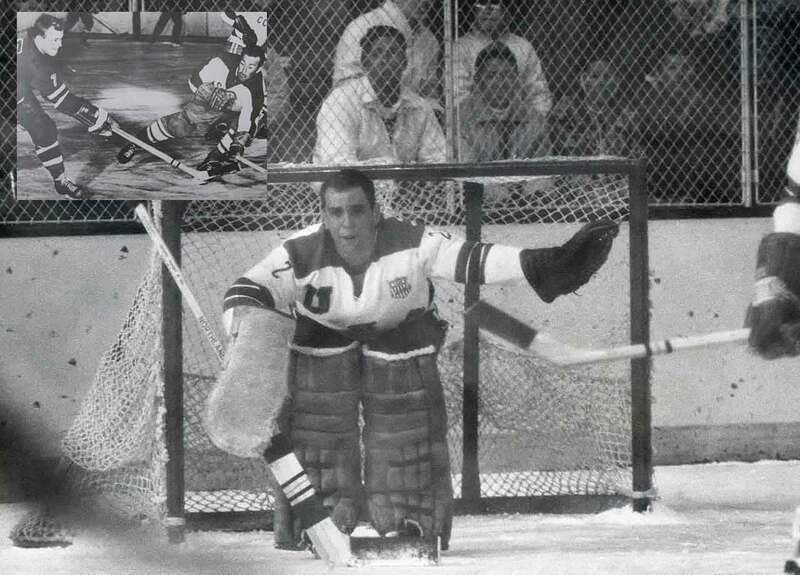 McCartan was to the '60 team what Jim Craig was to the Miracle On Ice gang. A ferocious battler, he made all the stops he was supposed to and plenty that he wasn't, especially against the Canadians and Soviets. The Canadians had scored 40 goals in their four previous games and poured it on as thick against the overmatched Yanks, but McCartan wouldn't break, stopping 20 shots in the second period alone on the way to a 2-1 win. 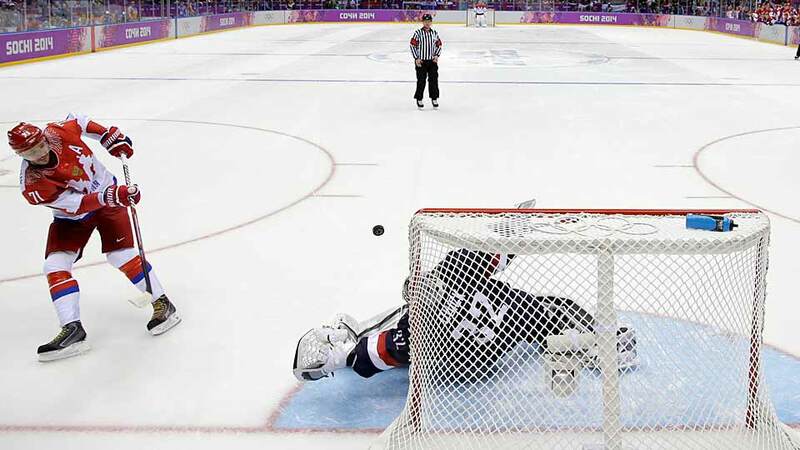 He followed that with 27 stops against the heavily favored Russians in a 2-1 nailbiter that won the gold. The ingredients for heroism were all there: the fierce U.S.-Soviet rivalry at a fevered pitch on the world stage as well as the ice, the impassioned crowd singing “God Bless America,” and a squad of talented, gritty college kids and amateurs matching the world’s best hockey team goal for goal. So it was only fitting that the captain of America’s Miracle team would be the one to tally the decisive goal in the now legendary event. Nearly cut by coach Herb Brooks before the tournament, Eruzione, 25, snapped a 3-3 tie in the middle of the third period by cashing in a feed from Mark Pavelich. The former Boston University/IHL forward later turned down offers from NHL teams, concluding his playing career with the gold medal and a common man mystique that has long since vanished from the Olympics. 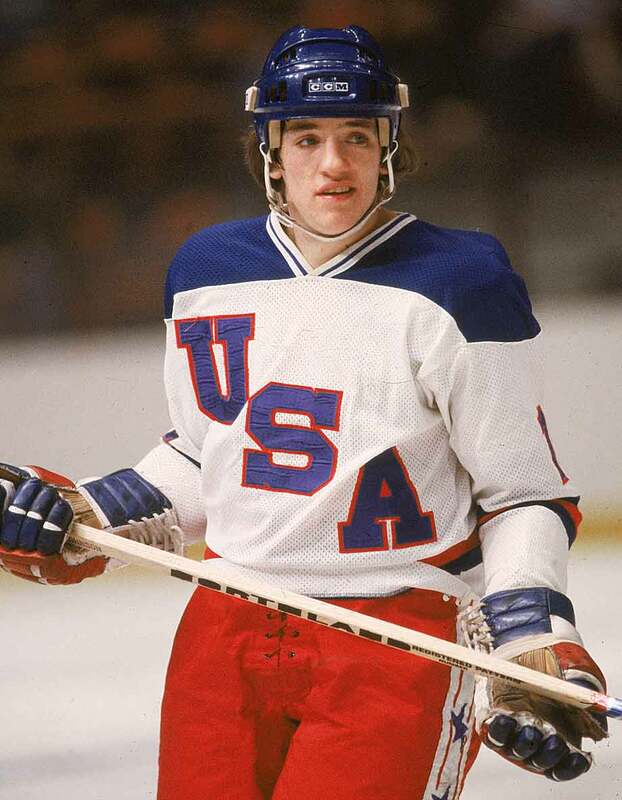 Everyone remembers his first goal, the one that changed everything: Johnson, Team USA's buzzsaw, splitting the Russian defense to pounce on a rebound lazily gifted by Vladislav Tretiak, make a slick move that brought the netminder to his knees. and tie the game at two with one second remaining in the first period. But Johnson scored another goal, another equalizer, on a third period period power play, that knotted the game at three and teed it up for Mike Eruzione to make history. The former Boston University netminder went 6-0-1 with a 2.14 GAA during the tournament, but made his legend during the Miracle on Ice semifinal game in which Team USA was outshot 39-16. 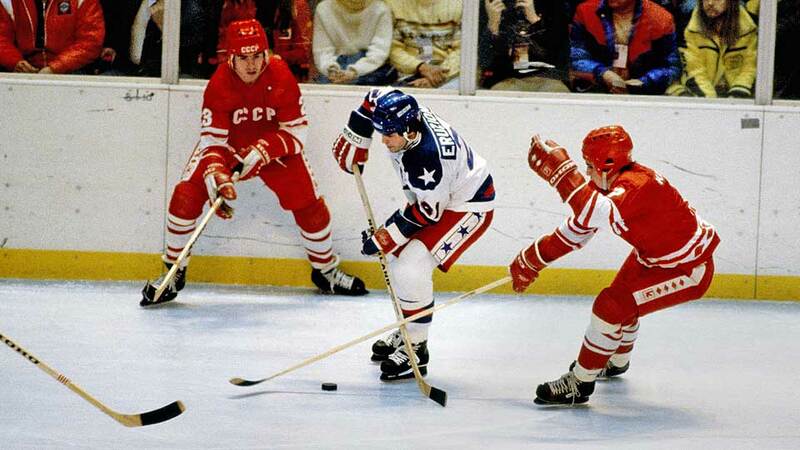 Three times, the Americans fell behind by a goal, but Craig denied the powerful Soviet attack until his teammates could score the equalizers. The final 10 minutes of the game were an infinity, but he weathered a furious storm to preserve the historic 4-3 upset. Besides backstopping the U.S. to gold two nights later, Craig also endeared himself his nation by draping himself in the flag as he sought his father in the stands. A truly lasting image. While America's first NHL-based Olympic team was disgracing itself by trashing its dorm and failing to medal in Nagano, the women's squad was rolling to the country's first hockey gold since the Miracle on Ice. Their victory in the sport's inaugural women's event was capped by a 3-1 win over archival Canada, the defending world champions they had to beat twice in four days. In the gold medal match, Forward Sandra Whyte was a factor in all three American tallies and goalie Sandra Tueting made 21 saves while protecting a 2-1 lead in the teeth of fierce Canadian pressure until Whyte sealed the deal with an empty net goal. 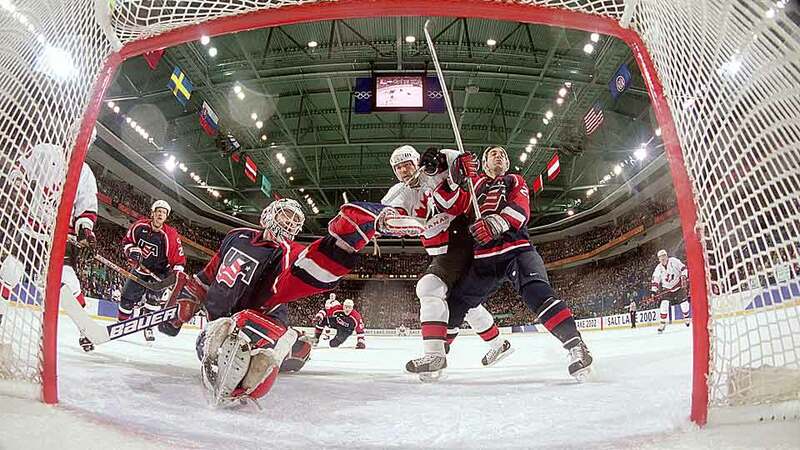 Richter's play throughout the 2002 Salt Lake City Games was nearly on par with his finest international work in the 1996 World Cup, but the final 20 minutes he played against Team Russia might have topped it. After two lackluster frames, the Russians came to life in the third period of the semi-final, raining shots on Richter as his teammates sagged under the assault. 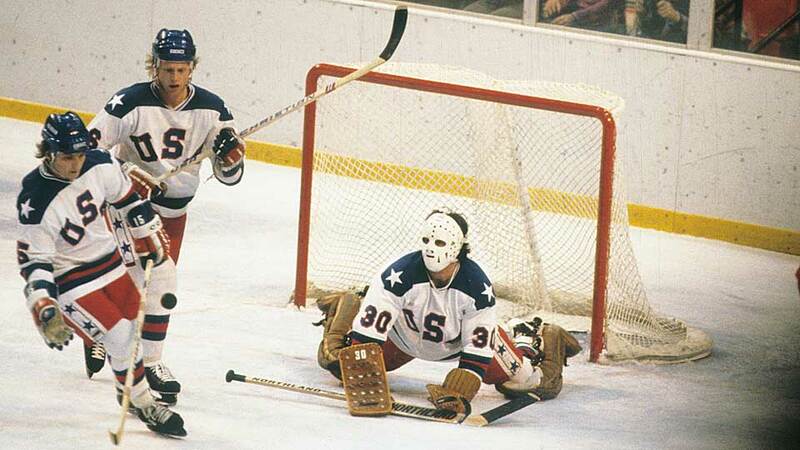 He bent, but didn't break, carrying the Americans to a semi-final win on the 22nd anniversary of the Miracle On Ice. Alas, Team USA ended up settling for silver, but it was America's first men's medal in the sport since the legendary Lake Placid Games of 1980. 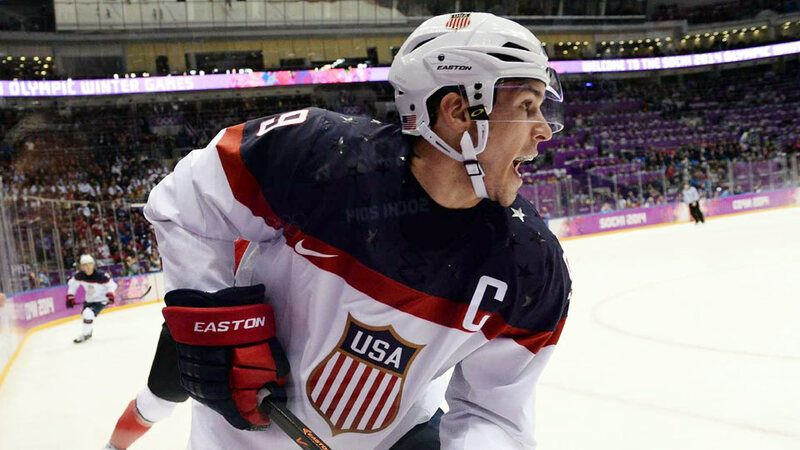 There's no silver medal for Team USA in Vancouver without Miller, who allowed just five even-strength goals in six games for a stunning 1.35 goals-against average and .946 save percentage on his way to winning tournament MVP honors. He saved his best for last, a larcenous 36-save performance against Canada in the finale that keep his team in the game long enough to get them to overtime. This was exactly why Dan Bylsma placed his faith in Quick. 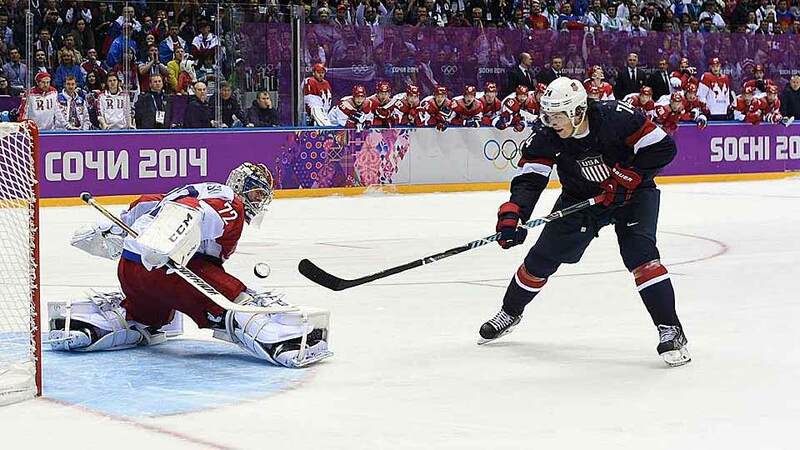 In Team USA's riveting round-robin game against Russia, the 2012 Conn Smythe Trophy winner allowed just two power play goals in regulation—and denied them a third with a clever bit of post rezoning (knocking the net off its moorings as a shot before a shot by Fedor Tyutin beat him). After a scoreless OT, Quick shut the door when he had to in the shootout, making four stops, the final two against the dangerous Ilya Kovalchuk and Pavel Datsyuk. Quick was agile, acrobatic and patient, showing space and then taking it away to seal Team USA's 3-2 win.